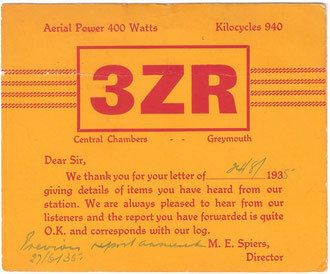 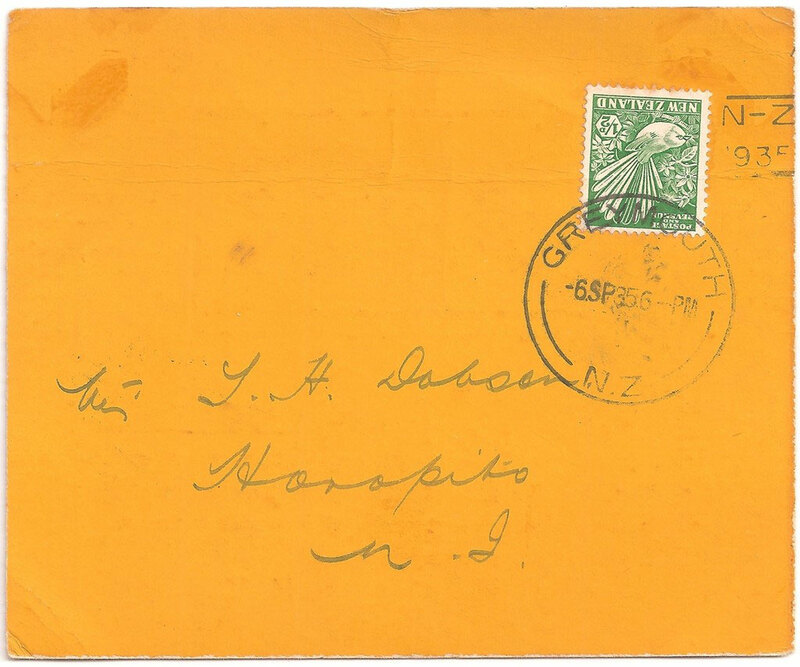 Piwakawaka tied on QSL radio postcard , 6th of September 1935. 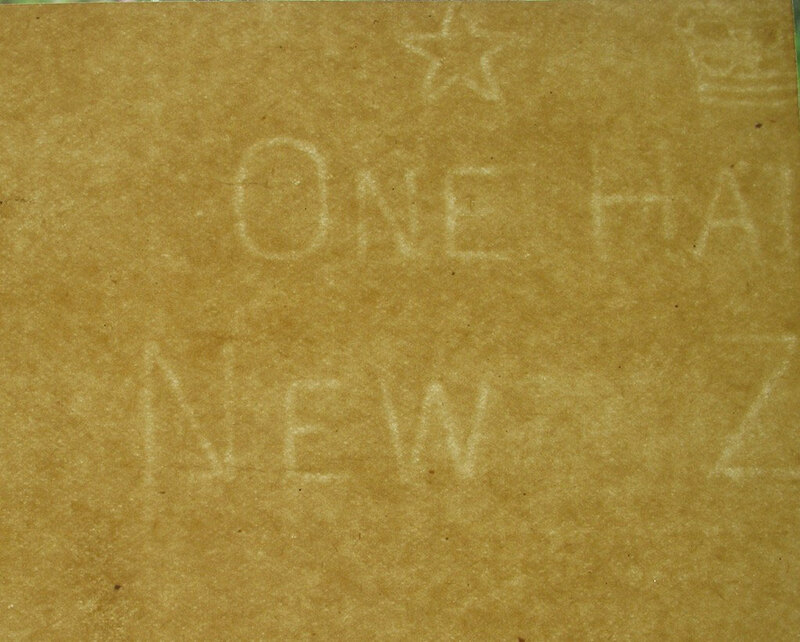 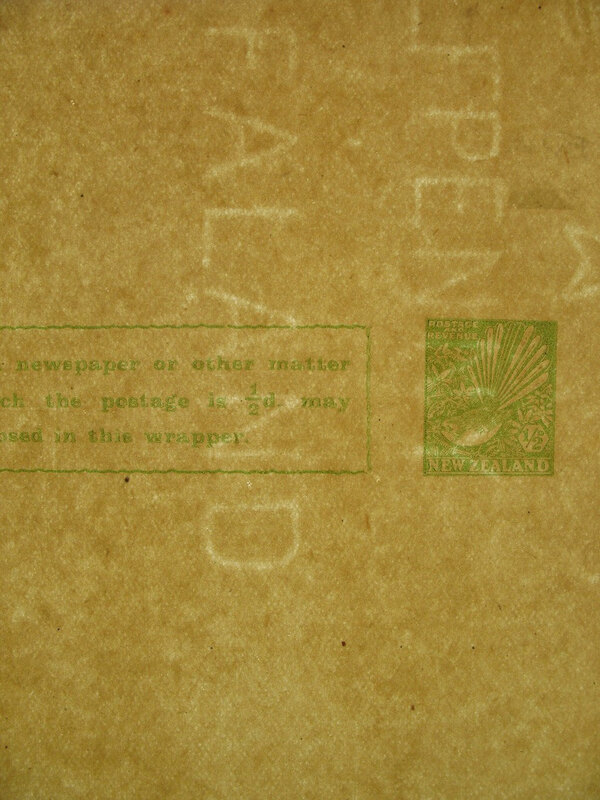 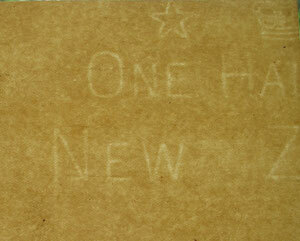 Half penny Newspaper wrapper, unused. 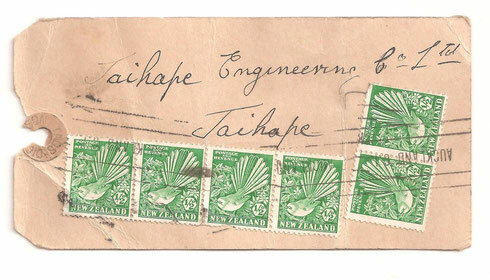 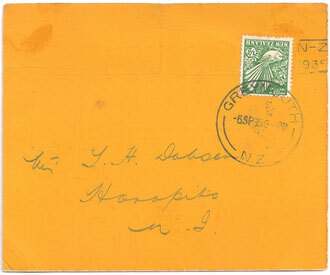 Mail tag, Auckland to Taihape.